The 3rd quarter of 2015 has been very tremulous for the world and if you still don't think events that happen outside South Africa, then you are definitely living under a rock. All that ha happened – from the collapse of markets in China, the weakening of the rand against major currencies, and most certainly the CO2 emissions scandal that is plaguing Volkswagen, are things that affect our appetites to buy cars in South Africa. However, we still buy motor vehicle in many tens of thousands. Here is a list of the best selling passenger cars and bakkies in South Africa for the months of July, August and September. This is complemented by aggregate sales numbers for the entire 3rd quarter of 2015. In September alone there where 50 251 new automobiles sold in the country, and of those, 45% of where the vehicles in our top 10 list for that month. That is a staggering amount which really shows the bias or rather favourability people place on top car brands like VW's Polo Vivo and even the much dreaded Toyota Quantum. Another revelation is the success the Toyota Hilux has had in the 3rd quarter against the brand chief rival, Ford Ranger. 2 out of the 3 months Hilux sales outperformed Ranger sales. This could be a return to the old normal, where for the longest time, the Toyota bakkie was superior to the Ford bakkie – in terms of sales numbers anyway. Overall, for passenger cars like the Polo and light commercial vehicles like the NP200, the months of August 2006 and October 2006 respectively, remain the best performing months. It will be a long way before such records are reached again. The main reason for that being what I eluded to at the beginning of this article – that what happens outside South Africa's borders cannot be ignored when we purchase vehicles. China's weakening economy affects South Africa greatly because the country is our biggest trading partner. If we cannot trade as much as possible with China (without seeking alternatives like other major trade partners), we will lose production and jobs. The multiplier effect of that would leave websites like UsedCarsForSale.co.za with little business, and cars hoarding on showrooms for longer. The impact of a weakening rand only really helps exporters, but we as a country have little to export lately. The only extraordinary exception is the automotive industry. Thinking about it, it looks a bit shady because while we as South Africans become gradually unable to buy vehicles, foreign countries like the USA will be more than willing to take delivery of our cars because they are cheaper for them to buy. Lastly, the success of Volkswagen this recent quarter may be deterred in this current, last quarter of 2015 by the emissions scandal which has been dubbed Dieselgate by mainstream media. Although VW South Africa has guaranteed us owners and buyers of their cars that the SA unit has not been affected, the entire fiasco will definitely consume a lot out of the auto maker, and may indeed decrease the company's sales of its Vivos and Golfs, etc. 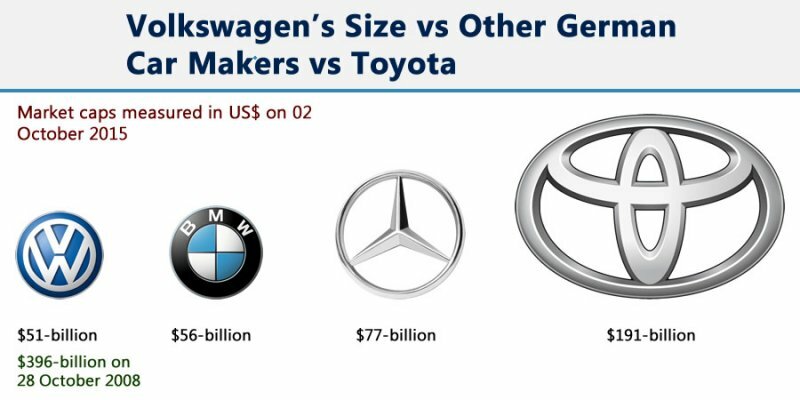 The supposed blow to VW can only be beneficial to Toyota and Ford especially.